The spring collection features three small appliances that make a big impact in everyone’s kitchen. 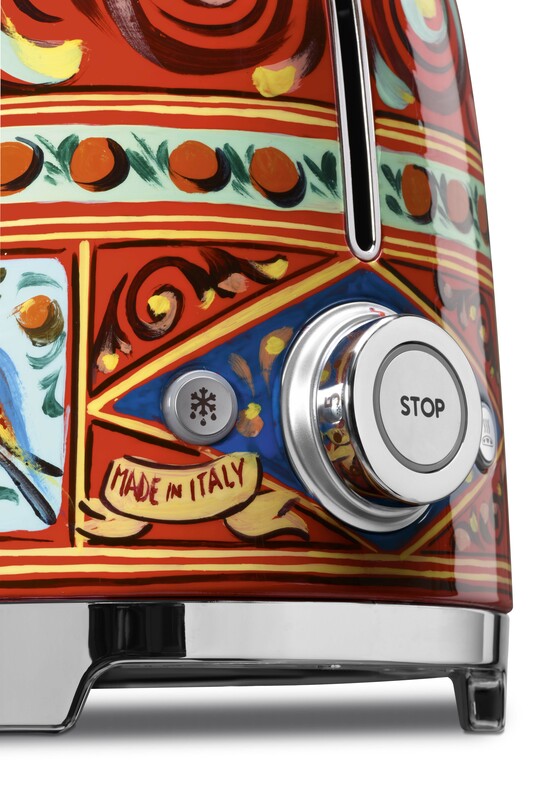 The electric juicer, tea kettle and toaster are all Italian-made with hand-placed designs. Their standout appearance will not only breathe life into your home decor, but also serve as amazing conversational pieces for guests to marvel over. Functional and aesthetically pleasing, both the toaster and electric juicer feature a red base with orange and yellow highlights, while the tea kettle features a white base with hues of blues and greens. 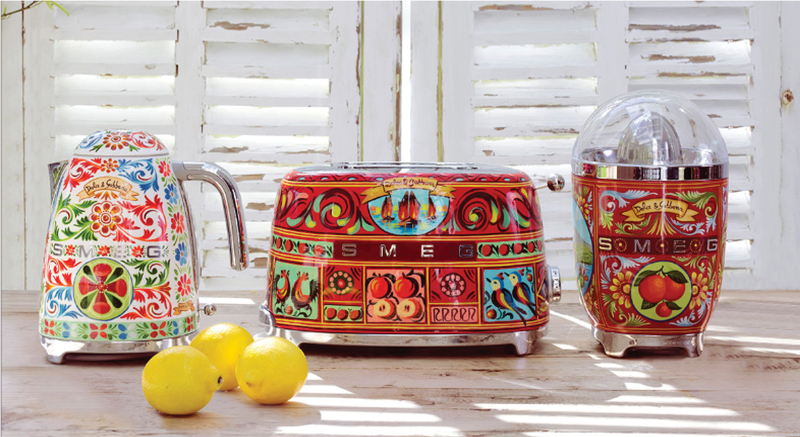 All three appliances feature images of lemons or oranges, which pays homage to Sicily’s large production of citrus fruits. Other depictions across all three items include Mount Etna, flowers, birds and sailing ships. While the design varies for all three, each don a banner reading “Dolce & Gabbana” as well as “Made in Italy” to showcase the collaboration and the product’s origin. 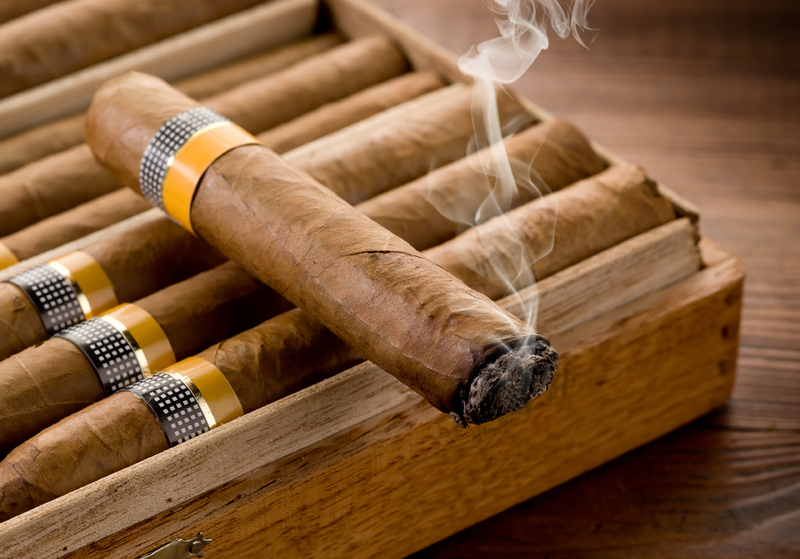 Neiman Marcus locations that carry this exclusive line include Neiman Marcus Downtown, NorthPark, Beverly Hills, Fashion Island, San Francisco, San Diego, Coral Gables, Bal Harbour, Tysons, Michigan Avenue and Boca Raton. Don’t fret if you don’t live in driving distance of any of these storefronts. The breakfast suite collection will be sold online as well, so everyone can infuse these colorful products into their home. All three items retail for $600. To purchase the line, visit www.neimanmarcus.com.